I was talking to a friend the other day and said I couldn’t believe we had kids. I mean, wasn’t it just yesterday that we were knocking back shots at night, waking up the next morning and brunching with bloody mary’s? This parenting thing is still so foreign to me! I spend my week thinking about how I’m going to entertain my little monster over the course of a WHOLE weekend! And I only have ONE. Most people have double that. 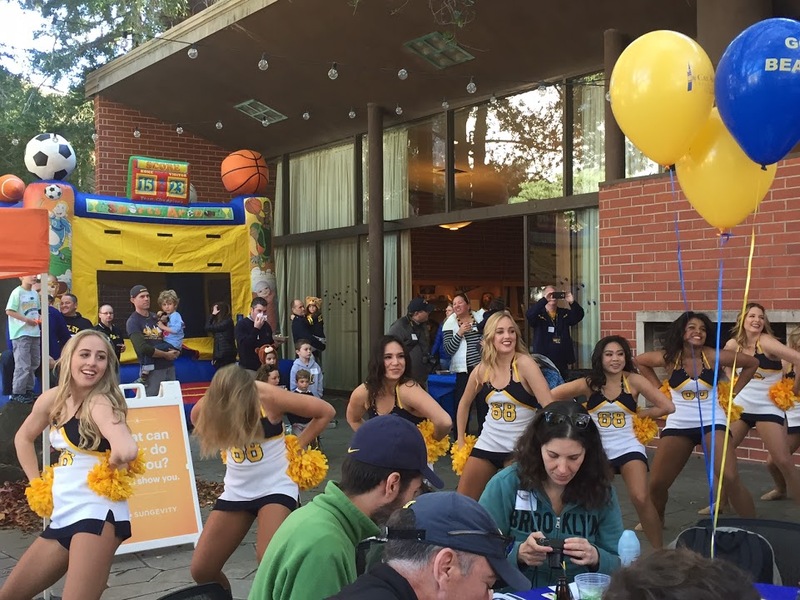 Taking place on the Berkeley campus, it was essentially a big tailgate party at the Alumni House before the Cal vs Washington State basketball game on Saturday January 14. 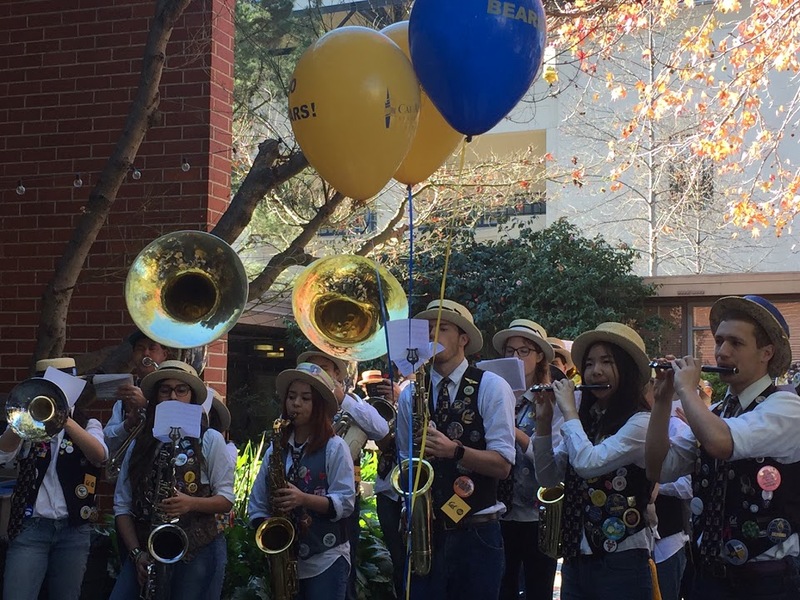 There was a magic show, bouncy house, catered Mexican brunch, pom-poms, mini-flags, crayons and coloring books, a pre-game Q&A with the basketball coach, Oski the Bear, cheerleaders and the Cal Band. Whooo! It was sensational. 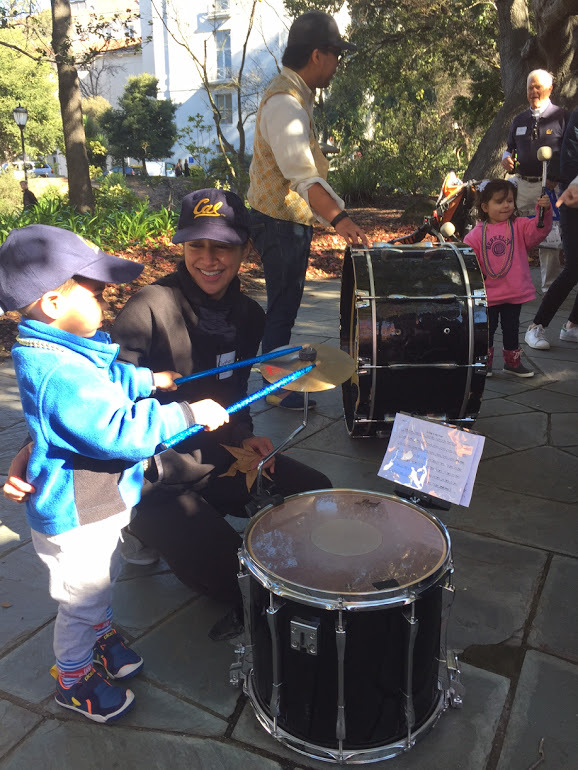 The magician was a Cal alum who majored in theater and applied mathematics. Like for real. I can’t believe people like this exist in the world. His grand finale was memorizing a Rubik’s cube that had been mixed up by the audience, and solving it blind-folded within 90 seconds while balancing on a rolling cylinder. 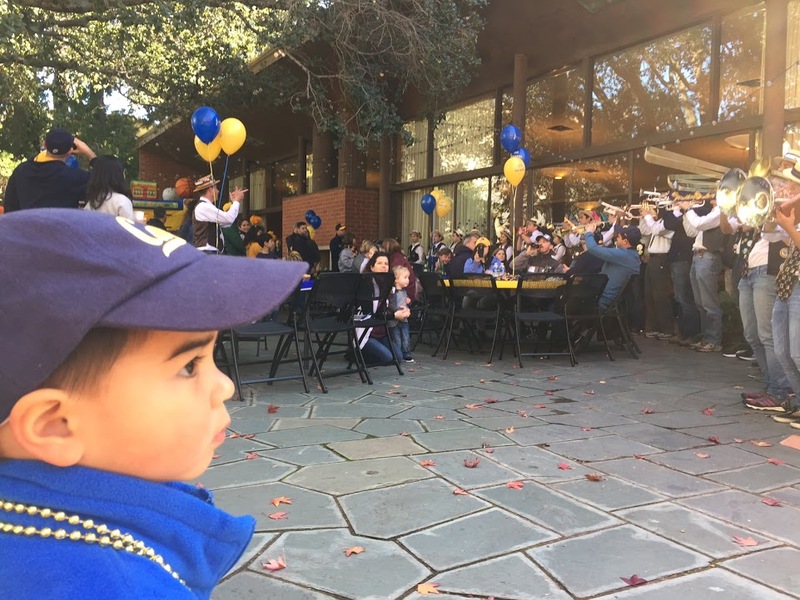 Similar: Bleeding blue and gold at the Cal vs UVA game. Very cool. I love Cal Basketball. I remember the days of trying to fill the hours with fun things for my kiddos. This sounds perfect! Now I want some caesar salad. Omg your little man is getting so big! Adorable 🙂 sounds like a great time–who doesn’t love a big tailgate party?! i think it’s so important to raise children surrounded by traditions!